These symbols have been abused and desecrated not only by those who hate The South, but increasingly by well-meaning Southerners. This Code of Confederate Flag Etiquette is designed as a guide for those who respect The South. If Southerners will not respect the Confederate flag, then how can we expect others to respect it? It is our hope that this Code of Confederate Flag Etiquette will be adopted by Southern organizations and individuals as a guide to respecting and honoring the symbols of our beloved South and those who sacrificed and died to defend her. This document is copyrighted in order to preserve its integrity, assure that there is a single recognized Code of Confederate Flag Etiquette, and to control revisions. It is licensed using the Creative Commons Attribution 3.0 unported license. You are free to copy, distribute, share, remix, and adapt it for commercial or non-commercial purposes. The only requirement is that attribution be included; this means that a link must be included to www.confederatecolonel.com . It is our intention that this Code be used and distributed as widely as possible. You are encouraged to download the PDF version and add it to your own web site – or simply provide a link to it here. If you have a specific use that you feel may not be covered by the license, please use the Contact Us form and we will do whatever we can to help get it widely distributed. Thank you for your understanding. If you have comments or suggestions for amending the Code, please use the Contact Us form. Suggestions will be reviewed by a group of advisers and a decision will be made by that group. As the copyright holder, my role is that of administrator and custodian – neither I, nor anyone else, “owns” this Code of Confederate Flag Etiquette. The Code of Confederate Flag Etiquette was adopted by the Military Order of The Stars and Bars in July 2011. If you would like to add your organization to a list of those who formally adopt this Code as the recognized standard for the use of the Confederate flag, please use the Contact Us form for details. Adoption of this Code does not, in any way, imply agreement or endorsement of anything else on this web site. The flag and other symbols of the Confederate States of America represent the dreams of a Southern nation for which our ancestors sacrificed their lives and their fortunes, and for the high and noble standards that we should once again strive for. The flags and other symbols of the Confederate States of America should be treated with the highest respect and never used or modified in a manner that diminishes the image of a great and noble South. Use of the Confederate flag should be held to the same high standards as any other national flag. To fold the flag, two persons face each other and hold the flag waist high and horizontally between them. They fold the lower half of the flag lengthwise over the upper half; then fold it again in the same manner. The person holding the fly end folds the lower right corner to the upper edge to form a triangle, folds the outer point inward to form a second triangle, and continues to fold the flag in triangles until the entire length of the flag is folded, ending with the hoist end to the outside. (a) Display on buildings and stationary flagstaffs in open. Night display: It is the universal custom to display the flag only from sunrise to sunset on buildings and on stationary flagstaffs in the open. However, when a patriotic effect is desired, the flag may be displayed twenty-four hours a day. It is preferred that the flag be properly illuminated during the hours of darkness. 1. 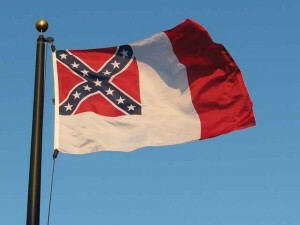 The Code of Confederate Flag Etiquette was compiled by Stephen Clay McGehee (ConfederateColonel.com) in April 2008 and was adopted by the Military Order of The Stars and Bars in July 2011. 2. This document is intended to be international in scope; the display of the Confederate flag in conjunction with the flag of a sovereign state is not addressed.